We can fit just about any electrical device to your vehicle – from trackers, dash-cams, Bluetooth, hands free systems, tow bars, and reversing sensors through to in car entertainment systems. Ever wished you could have hindsight when reversing? Well, with our Reversing Sensors fitted to your car, you can be safer than ever before. 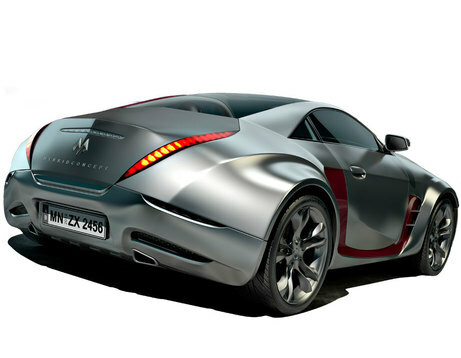 All our sensors can be painted to match your car or we can supply them pre-painted, in a wide choice of colours. All our reversing sensors carry a full 12 months parts and labour warranty. 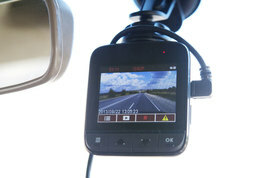 We also supply Reversing Cameras, with or without night vision. Ever missed a call when on the road travelling? Had difficulty finding somewhere to stop safely? Unable to call back in a timely manner? Why not have a hands free phone kit fitted to your car by our mobile fitting service? We use Bluetooth technology solutions, with the option of integrating it into your car stereo, so you receive a simple to use system that delivers high quality sound. We can supply and fit any multimedia system to any vehicle. From a simple CD radio to a full multi-screen play station / DVD system. We supply all the main branded names such as well as iPod conversion leads & MP3 leads that enable you to play your music through your cars own speaker system. We fit both front and rear dash-cams to enable you to record your journey – giving you a 180 degree view from either in front or behind. 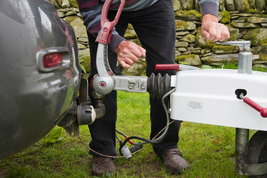 We are able to supply and fit any current tow-bar to any vehicle. 7 pin (old British standard) and 13 pin electrics (European standard, and current on new caravans) are both available.